Joe, Lane, Mike, and Nick talk about Duffy's friends, Rock'n'Rollercoaster overlays, trains, Magical Creatures, LargeFlames, Halloween Horror Nights, Endless Summers, Cars, Disney+, and YOUR QUESTIONS! Joe and Mike are joined by special guest Banks Lee of Attractions the Show! On this episode we talk about Busch Gardens Tampa's newest coaster, Tigris, and next year's RMC'ing of Gwazi. Star Wars Galaxy's Edge is opening earlier than we though but Mickey's Runaway Railway might be opening in 2020? 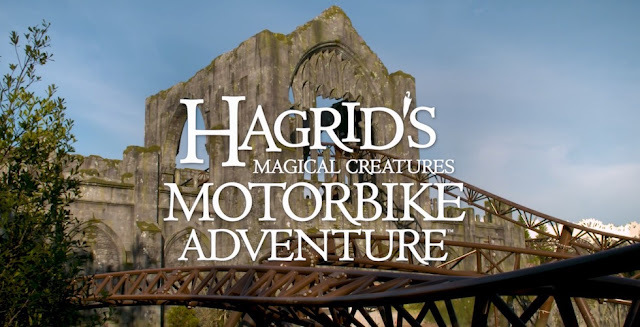 Universal announced Stranger Things at HHN29 while also showing off more of their new Hagrid's Magical Creatures Motorbike Adventure coaster. Lastly we discuss our trips into the parks with Banks visiting Lego Movie World at Legoland, Sesame Street at SeaWorld Orlando, Knotts Berry Farm, and 90's Nite at Disneyland followed by Joe giving the highlights of his recent Disneyland Resort trip. Regional park news, trip reports sans rides, and Alex has been meaning to tell us all something for 3 months. BUT WHAT?